The Infinite Dial Canada analyzed trends in online audio listening and brand awareness. 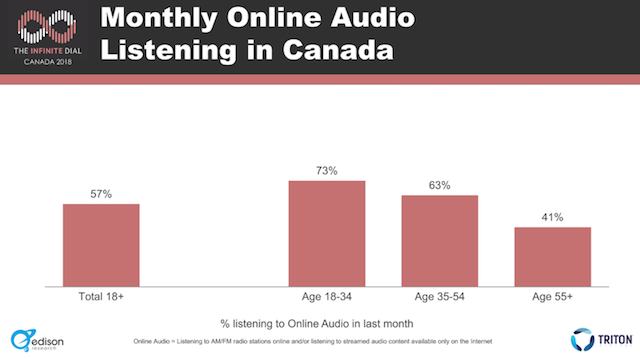 The results found that 57% of Canadian adults are listening to online audio on a monthly basis. For weekly listening, the rate is 49%. In both cases, online audio use was more common among the younger participants. The age 18-34 group posted a 73% response for monthly listening and 64% for weekly. 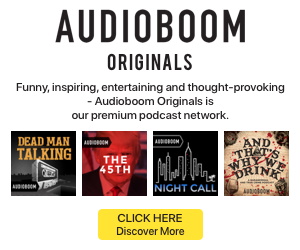 Ages 35-54 came in with 63% on monthly listening and 55% for weekly listening. 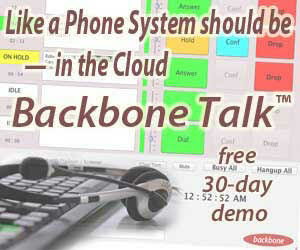 Finally, the over-55 group replied with 41% for monthly online audio use and 31% for weekly. 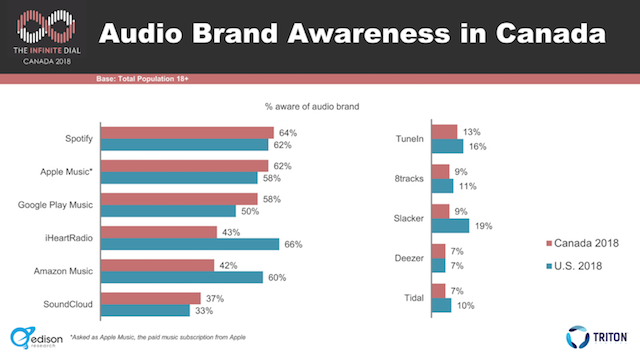 Spotify narrowly edged out a lead in the survey’s questions about audio brand awareness. Sixty-four percent of respondents knew about Spotify, followed by 62% for Apple Music. Google Play Music was third with 58%. For those who want to compare results with the United States, it’s worth noting that top performer Pandora is not available in Canada. The chart below has the side-by-side results for the two countries. Spotify kept its lead when it came to listening habits. It was the top used service for monthly online listening at 19% at for weekly listening at 16%. Local service Stingray edged out Apple Music with 12% of monthly listening, leaving Apple and Google Play Music tied with 11%. But Apple took back the second spot for weekly online listening with 9%. When participants were asked about the audio brand they use the most, Spotify again came out on top with a 26% share. Apple Music secured 16%, followed by Stingray at 14%.